Life in the remote British Overseas Territory of Saint Helena has been changing since the much-anticipated (and long-delayed) opening of the island's airport in 2016, making the island somewhat more accessible to the outside world. The airport's opening heralded the more recent retirement of the Royal Mail ship St. Helena earlier this year, a vessel which was, for so many years, the South Atlantic island's lifeline to the rest of the world. 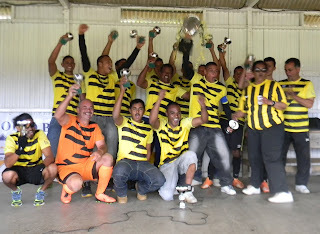 During the era of the RMS Saint Helena, the Saint Helena Football Association (SHFA) unsuccessfully attempted to raise the funds necessary to take part in the 2011 NatWest Island Games football tournament. Eight years on, the SHFA are aiming to take part in next year's (unofficial) edition, the Inter-Games Football Tournament - or, more colloquially, in the style of "London 2012", Ynys Môn 2019 - which will be held on the north-western Welsh island of Anglesey (Ynys Môn) instead of Gibraltar, which will be hosting the NatWest Island Games "proper." Around 24 islands from across the globe are expected to send teams to take part in the Games in Gibraltar. The prospective number of participating football teams was far too much for Gibraltar's infrastructure to handle, however, with the Victoria Stadium being used for track and field competition; the last time the gathering took place on the Rock, back in 1995, eight teams took part in the men's tournament, held at the Victoria Stadium - plus, there was no women's tournament at that time. "Following Gibraltar’s announcement that football would not be a part of the 2019 Island Games, Ynys Môn got permission from the Island Games Executive Committee to contact member Islands and formally announce that they were intending to host the tournament in June 2019. 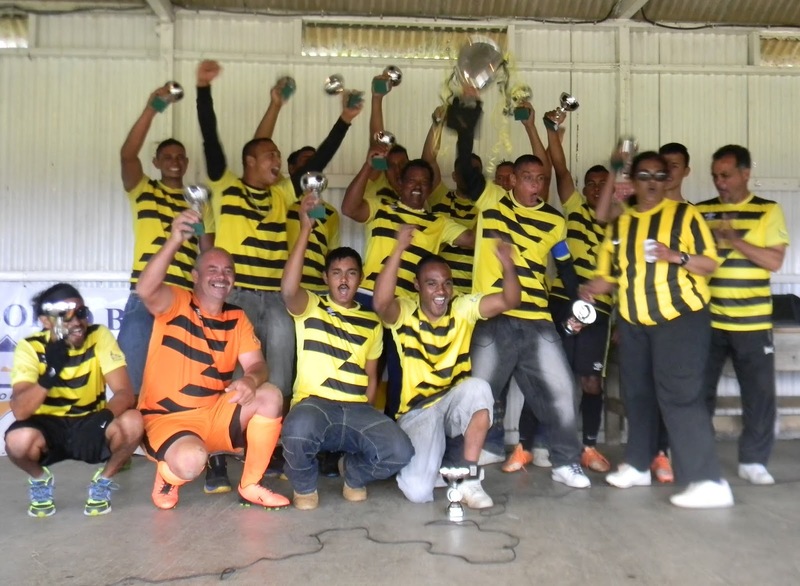 We, the St Helena Football Association, accepted the initial invitation to take part. "We have since received notice that the tournament will take place from the 15th June to 22nd June 2019. We have also received costs of travel and accommodation. The SHFA has put together an average cost per player which is just under £4000. "Although this is a long shot, the SHFA is determined to make this happen. We have already started to contact potential sponsors." The statement announced that an estimated amount not far shy of £77500 was required to be raised to send a squad of 17 players and 4 officials on their way to north-west Wales via Johannesburg and London, with, as the press-release noted, an average cost of just under £4000 per player. In the last few days, it was announced that the size of the squad was to increase to 20, forcing the SHFA to set a new target amount of £90000. Although the costs and logistics involved are eye-watering, the time spent travelling will not be quite as daunting as the two weeks it used to take for the RMS Saint Helena to sail from the island's capital Jamestown to London until the ship's decommissioning earlier this year. Only around 4000 people live on Saint Helena, and the trip to north-west Wales is a massive undertaking for the association and the island's inhabitants, hence the request for sponsorship from outside the island. Nick Stevens, SHFA chairman and provisional team manager, informed Pat's Football Blog that they would not be using crowdfunding as a means to raise the money needed to travel to Wales, but requested that prospective donors send money via bank transfer (see details below). He also let it be known that they would welcome any approaches from businesses who might be willing to provide sponsorship for the team's trip. On-island, the SHFA have been busy with fundraising, and Stevens said that they were busy organising a raffle for a car. Tickets have not yet gone on sale, but will be available shortly. He said that "the raffle will run..until May next year. We have a reggae night planned for 6 October." He estimated that over £17000 has been raised so far; as well as donations from the general public, one business has donated £10000, whilst the team kit has been sponsored to the tune of £7000. Stevens added that the SHFA are seeking someone to come to Saint Helena for a couple of weeks sometime between November and January - "We could do with some help now for us to know we're on the right track," he said - in order to assist him in coaching the team; he added that they are - at the time of writing - unable to provide any financial help to anyone willing to take up the position, but the prospective coach would receive free room and board. It would certainly be a unique opportunity for any aspiring coach, and something worth putting on their CV. Thirty-five players from the island's nine clubs have so far put themselves forward for inclusion in the final squad of 20, and training is already under way , taking place twice a week despite a four-week period of inactivity due to inclement weather which saw the island's only football pitch at Francis Plain waterlogged and led to the suspension of the nine-team league. In fact, the weather has caused so much disruption that one of the local competitions, the Inter-District Cup, has been put back until December. Not withstanding the weather, the SHFA had forwarded another application for FIFA membership to the headquarters of football's governing body earlier this year, and whilst awaiting FIFA's response, Nick Stevens said that they had been "trying to become affiliated with FIFA, but so far we have been unsuccessful. This is frustrating for us, as football is a major part of life here on our island of 4500 people and sport is our biggest pastime." "Our committee strongly feels that if we do get affiliated with FIFA, it will create..opportunities for our players to compete internationally. We certainly have some very talented youngsters who could easily play professional football. They just need the opportunity to show what they can do." Sadly, the Saint Helena team must for now make do with attempting to compete at the Inter-Games; their latest application for FIFA membership was rejected in a letter received by the SHFA on 20 September, which was signed by FIFA general secretary Fatma Samoura and stated that the association's application for membership was dismissed as it was not a member of CAF, nor did it represent an independent country recognised by the United Nations. Meanwhile, in response to a question posed by Pat's Football Blog to the YMIGA, a representative of the organisation would not be drawn on which teams have already confirmed that they will be taking part in Ynys Môn 2019, but did say that the organisation will release details at the end of September, with the venues being confirmed at a later date. All being well, Saint Helena will be one of those teams lining up on the football pitches of Anglesey next June, but they will need your help to achieve their goal. Kindly be aware that all International Swift Payments made to the Bank of St Helena must be made in GBP (Pounds Sterling). 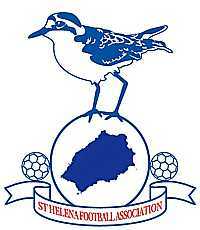 Anyone interested in taking up the position of (temporary) assistant coach to the Saint Helena national side aiming to take part in next year's Inter-Games Football Tournament is kindly requested to contact Pat's Football Blog in the first instance, sending a message via the Facebook page - or send a direct message via Twitter, together with a copy of your CV if at all possible. Needless to say, only serious applicants will be considered by the SHFA. If anyone would like to sponsor the Saint Helena team, please contact Pat's Football Blog via the aforementioned methods. Be assured that all applications for the position of assistant coach (temporary) and sponsorship enquiries will be treated in confidence, and will be passed on to the Saint Helena Football Association. Again, only serious enquiries will be entertained. AUTHOR'S NOTE: Many thanks to Nick Stevens and the Saint Helena Football Association for providing the information - and both images - used in the above article. Thanks, too, to the Ynys Môn IGA representative for his kind assistance. This tournament next year in Ynys Môn is not part of the Natwest Island Games being held in Gibraltar. this is an unofficial Island games event. As was stated in the article..